Last night, I saw Taylor Swift perform at the Newark Prudential Center. She was incredible! Ed Sheeran opened for her, and he was spectacular, as well. 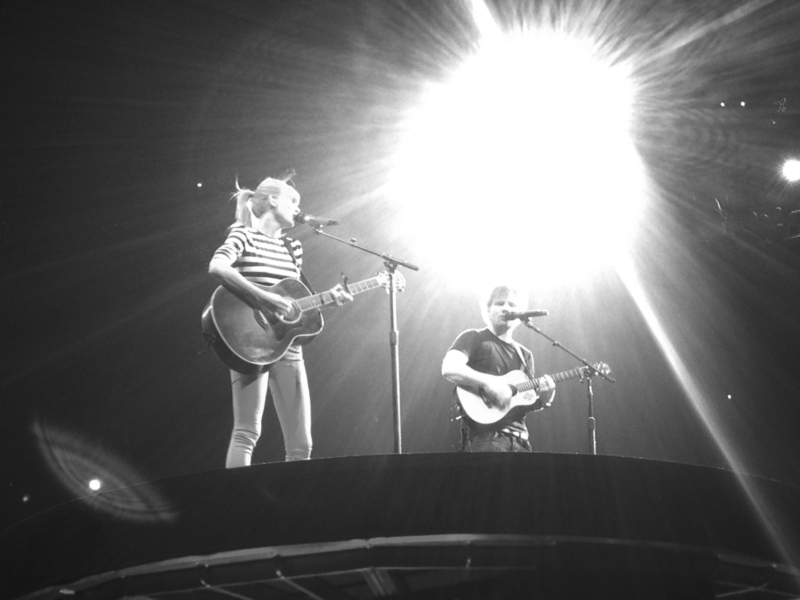 They played together on “Everything Has Changed” from the back of arena, near where our seats were located. It was a mind-blowing experience!